Get into the swing of summer with Mini Golf Fore Good, a fun-filled family event that benefits the YMCA of Burlington and Camden Counties’ annual campaign. The event takes place Saturday, June 20 from 2 to 4 p.m. at The Funplex on Route 38 in Mt. Laurel. Tickets are $20 per person and include one round of mini golf, one ride on the outdoor free fall attraction and a food voucher for one funnel cake, sundae or corn dog. This YMCA’s record campaign goal of $2 million will help the Y transform lives and communities by providing program support and financial assistance to local youth and families who need the Y most. “We’d like to thank volunteer members of the Mt. Laurel Advisory Board for organizing this great fundraising event that benefits our annual campaign and helps Send Kids to Y Camp,” said Jen Segelken, YMCA Director of Development. Hole sponsorships are available for $50 and can be secured by contacting Erin Murray at (856) 231–9622 ext. 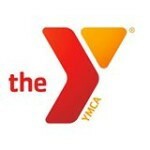 211 or erinm@ymca-bc.org. To purchase tickets, visit www.ymca-bc.org.